8. Calls on the Council to enter into a debate with the European Parliament and the national parliaments in 2010 on the implementation of the new provisions in the Lisbon Treaty concerning the CSDP, including: a. the clause on assistance in the event of armed aggression on the territory of a Member State, b. the clause on solidarity in the event of a terrorist attack or a natural or man-made disaster; c. the creation of the post of Vice- President of the Commission/High Representative of the Union for Foreign Affairs and Security Policy, coupled with the establishment of a European external action service (EEAS) incorporating the crisis management units, bd. a broader remit for the CSDP, ce. permanent structured cooperation for those Member States that meet higher standards in terms of military capability and have made more binding commitments in this area in preparation for the most demanding missions, together with enhanced cooperation procedures, df. the establishment of a start-up fund for preparatory activities in the lead-up to operations, e. the clause on assistance in the event of armed aggression on the territory of a Member State, f. the clause on solidarity in the event of a terrorist attack or a natural or man-made disaster;Points a, b, c, d, e and f have become points c, d, e, f, a and b. (7a) The emergency measures should, by definition, have an immediate impact; the measures proposed below should therefore apply for no more than one year. (13) In order to ensure an immediate and sustainable impact on the economic recovery of Pakistan in the aftermath of the floods it is recommended to limit the duration of the trade preferences until 31 December 2013to one year from the entry into force of those measures. (13a) It is also necessary to provide for the reintroduction of Common Customs Tariff duties for any products causing, or threatening to cause, serious injury to Union producers of like or directly competing products, as determined by an investigation carried out by the Commission. (ca) Pakistan’s abstention from maintaining, introducing or increasing duties or charges having equivalent effect on the export or sale for export of any materials primarily used in the production of any of the products covered by this Regulation destined for the territory of the Union. (cb) compliance with Article XI GATT 1994 and its interpretative notes. To this end Pakistan shall abstain from adopting or maintaining any prohibition or restriction on the export, or sale for export, of any materials primarily used in the production of any of the products included in Annex I and II. (cc) Pakistan’s abstention from introducing new duties or charges having equivalent effect and new quantitative restrictions or measures having equivalent effect for imports originating in the Community or from increasing existing levels of duties or charges or from introducing any other restrictions. Article 3a Introduction of tariff rate quotas 1. The Commission shall present quarterly reports to the European Parliament and the Council on the evolution of imports of products covered by this Regulation as from its entry into force. 2. Where the Commission concludes, in its reports, that the volume of imports of one of the products included in Annex I originating from Pakistan exceeds the volume of such imports in the corresponding period of 2010 by twenty percentage points, the Commission shall adopt a delegated act, in accordance with, Article 5 to subject the imports of that product to tariff rate quotas for imports of that product by amending Annex I and Annex II. 3. The tariff rate quota provided for under paragraph 2 shall take the form of a duty free quota limited to the level of imports of such product in 2010 increased by twenty percentage points. When the tariff rate quota is established during the year, imports of such product will be allocated on a pro-rata basis. By derogation from Article 1(1), upon the entry into force of the delegated act, imports in excess of that tariff rate quota shall be subject to most- favoured nation or other applicable duties. Article 7a Urgency procedure for delegated acts 1. Delegated acts adopted under the urgency procedure shall enter into force without delay and apply as long as no objection is expressed in accordance with paragraph 2. The notification of the act to the European Parliament and to the Council shall state the reasons for the use of the urgency procedure. 2. The European Parliament or the Council may object to a delegated act in accordance with the procedure referred to in Article 8. In such a case, the Commission shall repeal the act without delay following the notification of the decision to object by the European Parliament or the Council. Article 9b Surveillance Measures In order to enable the Commission to present the report mentioned in Article 3 a, the Commission shall subject the products covered by the preferences provided for in this Regulation to customs surveillance. This surveillance shall provide for updated and timely data, in volume and value. These data shall be immediately made available to Member- States, the European Parliament and economic operators. 2. It shall apply from 1 January 2011 provided that the conditions set out in points ca and cb of Article 2 have been fulfilled and provided that the tariff preferences provided for in this Regulation are permitted by a waiver granted by the World Trade Organisation. In case the World Trade Organisation grants such a waiver after 1 January 2011, it shall apply from such later date on which the waiver takes effect. 4. This Regulation shall apply until 31 December 2013for 12 months after its entry into force. Before that date the Commission shall submit a report on the impact assessment of this Regulation to the European Parliament and to the Council. On the basis of a new legislative proposal made by the Commission, the European Parliament and the Council shall decide whether to extend the application of this Regulation for another year. 15. Reaffirms that the primary objective of the EU in its relations with the GCC should be to conclude the region-to-region FTA; but, until this happens, and following what some of the GCC major trade partners have already done, encourages the HR/VP and the Commissioner for Trade to assess alternative approaches to future commercial relations with the GCC countries, in the form of bilateral agreements between the EU and those of the Gulf States that already feel prepared to engage in a further commitment with the EU. 2. Common Customs Tariff ad valorem duties on products listed in Annex V as sensitive products shall be reduced by 3.5 percentage points. For products from GSP sections XI(a) and XI(b), this reduction shall be 20 %. 3. Where preferential duty rates calculated, in accordance with Article 6 of Regulation (EC) No 732/2008, on the Common Customs Tariff ad valorem duties applicable on the date of entry into force of this Regulation provide for a tariff reduction of more than 3.5 percentage points for the products referred to in paragraph 2 of this Article, those preferential duty rates shall apply. 1. The tariff preferences referred to in Articles 7 and 9 shall be suspended, in respect of products of a GSP section originating in a GSP beneficiary country, when the average value of European Union imports of such products over three consecutive years from that GSP beneficiary country exceeds the thresholds listed in Annex VI. The thresholds shall be calculated as a percentage of the total value of European Union imports of the same products from all GSP beneficiary countries. 2. Paragraph 1 shall not apply to EBA beneficiary countries, nor shall it apply to countries with a share not exceeding 86 % of European Union imports of products listed in Annex V or IX, whichever is applicable. Sensitive /non- Section Chapter CN code Description /non- sensitive Articles of apparel and clothing accessories, S-11b 62 Chapter 62 not knitted or crocheted excluding products S not knitted or crocheted. under subheading 6212 10 90. Sensitive /non- Section Chapter CN code Description /non- sensitive Footwear, gaiters and the like; parts of such S-12a 64 Chapter 64 articles excluding products under S articles. subheadings 6403 99 96 and 6403 99 98. 2. The provisions of Article 8 shall apply for each of the GSP Sections 11(a) and 11(b), when the percentage share referred to in Article 8(1) exceeds 14,50 %. (b) of which the imports of products listed in Annex IX into the European Union represent less than the threshold of 2 1% in value of the total imports into the European Union of products listed in Annex IX originating in countries listed in Annex II, as an average during the last three consecutive years. (16a) The Commission should submit a report once a year on the implementation of the Agreement and the application of the safeguard measures and the banana stabilisation mechanism, which should include up-to-date and reliable statistics on imports from Colombia and Peru and an assessment of their impact on market prices, employment, and the evolution of the Union's production sector, paying special attention to small-size producers and cooperatives. Article 2a Monitoring 1. The Commission shall monitor the evolution of import and export statistics of Colombian and Peruvian products, in particular in sensitive sectors including bananas. For this purpose, it shall cooperate and exchange data on a regular basis with Member States and the Union industry. 2. Upon a duly justified request by the industries concerned, the Commission may consider extending the scope of the monitoring to other sectors. 3. The Commission shall present an annual monitoring report to the European Parliament and the Council on updated statistics on imports from Colombia and Peru of products in the sensitive sectors and those sectors to which monitoring has been extended. 1. An investigation shall be initiated upon request by a Member State, by any legal person or any association not having legal personality, acting on behalf of the Union industry, by the European Parliament or on the Commission's own initiative if it is apparent to the Commission that there is sufficient prima facie evidence, as determined on the basis of factors referred to in Article 4(5), to justify such initiation. 4. Any extension pursuant to paragraph 3 shall be preceded by an investigation upon a request by a Member State, by any legal person or any association not having legal personality, acting on behalf of the Union industry, by the European Parliament or on the Commission's own initiative if there is sufficient prima facie evidence that the conditions laid down in paragraph 3 are met, on the basis of factors referred to in Article 4(5). Article 11a Report 1. The Commission shall present an annual report on the application and implementation of the Agreement and of this Regulation to the European Parliament. 2. The report shall include information about the application of provisional and definitive measures, the termination of investigations without measures, and the activities of the various bodies responsible for monitoring the implementation of the Agreement and fulfilment of the obligations arising therefrom, including information received from interested parties. 3. The report shall also present a summary of the statistics and the evolution of trade with Colombia and Peru. 4. The report shall include up-to-date and reliable statistics on banana imports from Colombia and Peru and their direct and indirect impact on the development of employment and working conditions in the European production sector. 5. The European Parliament may, within one month from the Commission presenting the report, invite the Commission to an ad hoc meeting of its responsible committee to present and explain any issues related to the implementation of the Agreement and this Regulation. 6. No later than three months after presenting the report to the European Parliament, the Commission shall make the report public. 2. A separate annual trigger import volume is set for imports of products mentioned in paragraph 1, as indicated in the third and fourth columns of the table in the Annex to this Regulation. Once the trigger volume for either Colombia or Peru is met during the corresponding calendar year, the Commission mayshall, in accordance with the examinationadvisory procedure referred to in Article 12(32), temporarily suspend the preferential customs duty applied to products of the corresponding origin during that same year for a period of time not exceeding three months, and not going beyond the end of the calendar year. Only reasons of force majeure shall justify the suspension not being imposed. 5a. The Commission shall closely monitor the evolution of statistics for banana imports from Colombia and Peru. For this purpose, the Commission shall cooperate and exchange information on a regular basis with the Member States and interested parties. (16a) The Commission should submit a report once a year on the implementation of the Agreement and the application of the safeguard measures and the banana stabilisation mechanism, which should include up-to-date and reliable statistics on imports from Central America and an assessment of their impact on market prices, employment, and the evolution of the Union’s production sector, paying special attention to small-size producers and cooperatives. Article 2a Monitoring 1. The Commission shall monitor the evolution of import and export statistics of Central American products, in particular in sensitive sectors including bananas. For this purpose, it shall cooperate and exchange data on a regular basis with Member States and the Union industry. 2. Upon a duly justified request by the industries concerned, the Commission may consider extending the scope of the monitoring to other sectors. 3. The Commission shall present an annual monitoring report to the European Parliament and the Council on updated statistics on imports from Central America of products in the sensitive sectors and those sectors to which monitoring has been extended. 1. An investigation shall be initiated upon request by a Member State, by any legal person or any association not having legal personality, acting on behalf of the Union industry, by the European Parliament, or on the Commission's own initiative if it is apparent to the Commission that there is sufficient prima facie evidence, as determined on the basis of factors referred to in Article 4(5), to justify such initiation. Article 11a Report 1. The Commission shall present an annual report on the application and implementation of the Agreement and of this Regulation to the European Parliament. 2. The report shall include information about the application of provisional and definitive measures, the termination of investigations without measures, and the activities of the various bodies responsible for monitoring the implementation of the Agreement and fulfilment of the obligations arising therefrom, including information received from interested parties. 3. The report shall also present a summary of the statistics and the evolution of trade with Central America. 4. The report shall include up-to-date and reliable statistics on banana imports from Central America and their direct and indirect impact on the development of employment and working conditions in the European production sector. 5. The European Parliament may, within one month from the Commission presenting the report, invite the Commission to an ad hoc meeting of its responsible committee to present and explain any issues related to the implementation of the Agreement and this Regulation. 6. No later than three months after presenting the report to the European Parliament, the Commission shall make the report public. 2. A separate annual trigger import volume is set for imports from Central American country for products mentioned in paragraph 1 as indicated in the table in the Annex to this Regulation. The importation of the products mentioned in paragraph 1 at the preferential customs duty rate shall, in addition to the proof of origin established under Annex III (Definition of the concept of ‘originating products’ and methods of administrative co-operation) of the Agreement with Central America, be subject to the presentation of an export certificate issued by the competent authority of the Republic of the Central American country from which the products are exported. Once the trigger volume is met during the corresponding calendar year, the Commission mayshall, in accordance with the examinationadvisory procedure referred to in Article 12(32), temporarily suspend the preferential customs duty during that same year for a period of time not exceeding three months, and not going beyond the end of the calendar year. Only reasons of force majeure shall justify the suspension not being imposed. 5a. The Commission shall closely monitor the evolution of statistics for banana imports from Central America. For this purpose, the Commission shall cooperate and exchange information on a regular basis with the Member States and interested parties. (2) The imposition of the visa requirement on the nationals of Dominica, Grenada, Kiribati, Marshall Islands, Micronesia, Nauru, Palau, Saint Lucia, Saint Vincent and the Grenadines, Samoa, Solomon Islands, Timor-Leste, Tonga, Trinidad and Tobago, Tuvalu, the United Arab Emirates and Vanuatu is no longer justified. These countries do not present any risk of illegal immigration or a threat to public policy for the Union in accordance with the criteria set out in recital 5 of Regulation (EC) N° 539/2001. Consequently, nationals of those countries should be exempt from the visa requirement for stays of no more than three months in all and references to those countries should be transferred to Annex II. (3) Exemption from the visa requirement for nationals of Dominica, Grenada, Kiribati, Marshall Islands, Micronesia, Nauru, Palau, Saint Lucia, Saint Vincent and the Grenadines, Samoa, Solomon Islands, Timor-Leste, Tonga, Trinidad and Tobago, Tuvalu, the United Arab Emirates and Vanuatu should not come into force until bilateral agreements on visa waiver between the Union and the countries concerned have been concluded in order to ensure full reciprocity. "Tuvalu*", "United Arab Emirates*" and "Vanuatu*"
(3) Following the review, certain provisions of the Regulations should be amended in order to improve transparency and predictability, provide for effective measures to fight against retaliation, improve effectiveness and enforcement and optimise review practice, and to facilitate access to the instruments for SMEs. To this end, the function of the Export Helpdesk should be adapted. In addition, certain practices that in recent years have been applied in the context of anti- dumping and anti-subsidy investigations should be included in the Regulations. (4a) To ensure the effectiveness of the instrument, it should shorten the time for the imposition of anti-dumping and countervailing provisional measures to 7 months and 12 months for the definitive duties. To this end, it is important that the Unit in charge of anti-dumping and anti- subsidy investigations has adequate resources, including human resources. (8) Third countries increasingly interfere in trade. Significant State interferences inter alia involving prices, costs and inputs, research and labour, outputs, sales and investments, currency exchange rate manipulations and unfair trade finance conditions, further distort regular course of trade and may have a severe impact on Union's producers . As an example, third countries increasingly interfere in trade of raw materials with a view to keeping raw materials in those countries for the benefit of domestic downstream users, for instance by imposing export taxes or operating dual pricing schemes on energy. As a result, the costs of raw materials do not result from the operation of normal market forces reflecting supply and demand for a given raw material. Such interference creates additional distortions of trade. As a consequence, Union producers are not only harmed by dumping, but suffer, compared to downstream producers from third countries engaged in such practices, additional distortions of trade. In order to protect trade adequately, the lesser duty rule shall not apply in such cases of structural raw material distortions. (9) Within the Union, countervailable subsidies are in principle prohibited pursuant to Article 107 (1) TFEU. Therefore, countervailable subsidies granted by third countries are particularly distortive of trade. The amount of State aid authorized by the Commission has steadily been reduced over time. For the anti- subsidy instrument, the lesser duty rule should hence no longer be applied to imports from a country/countries engaged in subsidisation. (10) In order to optimise the review practice, duties coldelected during the investigation should be reimbursed to importers, where measures are not prolonged after the conclusion of an expiry review investigation. This is appropriate given that the conditions required for the continuation of the measures have not been found to exist during the investigation period. 1b. In Article 5, paragraph 6 shall be replaced by the following : 6. If, in special circumstances or in the case of diverse and fragmented industry sectors, largely composed of small- and medium-sized enterprises, it is decided to initiate an investigation without having received a written complaint by or on behalf of the CommunityUnion industry for the initiation of such investigation, this shall be done on the basis of sufficient evidence of dumping, injury and a causal link, as described in paragraph 2, to justify such initiation. 1c. In Article 6, a new paragraph 6a is added : 6a. The Commission shall adopt implementing acts to ensure the possible access to information to all interested parties by allowing for an information system whereby interested parties are notified when new non-confidential information is added to the investigation file. 1d. Article 6, paragraph 9 shall be replaced by the following: For proceedings initiated pursuant to Article 5(9), an investigation shall be concluded within one year, in accordance with the findings made pursuant to Article 8 for undertakings or the findings made pursuant to Article 9 for definitive action. 2a. In Article 6, the following new paragraph 10a is added: "10a. Throughout the investigation, the Export Helpdesk should provide to SMEs information and explanations on the case and how to better present evidences, and guidance on additional possibilities to liaise with the Hearing Officer and national customs authorities." The amount of the provisional anti- dumping duty shall not exceed the margin of dumping as provisionally established. Unless structural raw material distorignificant State interferences regarding, inter alia, prices, costs and inputs, including for instance raw materials and energy, research and labour, outputs, sales and investments, currency exchange rate and fair trade finance conditions, were found to exist with regard to the product concerned in the exporting country, it should be less than the margin of dumping if such lesser duty would be adequate to remove the injury toin the Union industry. The amount of the definitive anti-dumping duty shall not exceed the margin of dumping established. Unless structural raw material distorignificant State interferences regarding, inter alia, prices, costs and inputs, including for instance raw materials and energy, research and labour, outputs, sales and investments, currency exchange rate and fair trade finance conditions, were found to exist with regard to the product concerned in the exporting country, it shallould be less than the margin of dumping if such lesser duty would be adequate to remove the injury toin the Union industry." In cases where the number of Union producers, exporters or importers, that cooperate in the investigation, or types of product or transactions is large, the investigation may be limited to a reasonable number of parties, products or transactions by using samples which are statistically valid on the basis of information available at the time of the selection, or to the largest representative volume of production, sales or exports which can reasonably be investigated within the time available. 9a. Article 21(5) shall be replaced by following: 5. The Commission shall examine the information which is properly submitted and the extent to which it is representative and the results of such analysis, together with an opinion on its merits, shall be transmitted to the Advisory Committee. The balance of views expressed in the Committee shall be taken into account by the Commission in any proposal made pursuant to Article 9. The Commission shall propose termination of investigation or review under this article only if it is absolutely clear that under no possible scenarios would measures help the Union industry to any degree. Criteria to determine Union interest should be specified in a delegated act. 1b. In Article 10, a new paragraph 3a is added: "The Commission shall facilitate the access to the instrument for diverse and fragmented industry sectors, largely composed of small and medium-sized enterprises through the Export Help Desk. The Export Help Desk shall provide information and explanations on how to fill a compliant in particular through: standardising forms for statistics and diminishing the burden caused by language barriers in a proportionate manner"
8. If, in special circumstances, the Commission1a. Article 10 (8) shall be replaced by the following : 8. If, in special circumstances or in the case of diverse and fragmented industry sectors, largely composed of small- and medium-sized enterprises, it is decidesd to initiate an investigation without having received a written complaint by or on behalf of the CommunityUnion industry for the initiation of such investigation, this shall be done on the basis of sufficient evidence of the existence of countervailable subsidiesdumping, injury and a causal link, as described in paragraph 2, to justify such initiation. 2a. In Article 11, a new paragraph 11a is added: Throughout the investigation, the Export Helpdesk should provide to SMEs informations and explanations on the case and how to better present evidences, and guidance on additional possibilities to liaise with the Hearing Officer and national customs authorities. 2b. In Article 11, a new paragraph 11b is added: The Commission shall adopt implementing acts to ensure the possible access to information to all interested parties by allowing for an information system whereby interested parties are notified when new non-confidential information is added to the investigation file. 2c. In Article 11 (9) shall be replaced by the following: 9. For proceedings initiated pursuant to Article 10(11), an investigation shall, whenever possible, be concluded within one year. In any event, such investigations shall in all cases be concluded within 13 months of their initiation, in accordance with the findings made pursuant to Article 13 for undertakings or the findings made pursuant to Article 15 for definitive action. "The provisional duties shall be imposed no earlier than 60 days from the initiation of (-a) In Article 12(1), the second subparagraph shall be replaced by the following: "The provisional duties shall be imposed in the seven-monthe proceedings but no later than nine monthseriod starting from the initiation of the proceedings." 10a. In Article 31 (5) shall be replaced by the following: 5. The Commission shall examine the information which is properly submitted and the extent to which it is representative, and the results of such analysis, together with an opinion on its merits, shall be transmitted to the Advisory Committee. The balance of views expressed in the Committee shall be taken into account by the Commission in any proposal made pursuant to Articles 14 and 15 9. The Commission shall propose termination of investigation or review under this article only if it is absolutely clear that under no possible scenarios would measures help the Union industry to any degree. Criteria to determine Union interest should be specified in a delegated act. CV/0 deleted National defence course assessor. General practitioner at the Civil Hospitals of Lisbon (1977-1980). CV/1 deleted Held the following posts in the European Parliament from 1989: Deputy Secretary-General of the ELDR Group (October 1990-July 1994); Secretary-General (until November 1996) and member of the Bureau of the ELDR Group; Secretary-General of the Parliamentary Group of the European People's Party (EPP), (April 1997 to July 1999); Special adviser on European Union enlargement, responsible for the task force for the 12 candidate countries, Russia and the Balkan countries (until April 2002). CV/2 deleted Head of the private office of five ministers in the Portuguese Government (1980 -1989); Political adviser to the Prime Minister on international affairs (April 2002 to July 2004); Coordinator in the private office of José Manuel Durão Barroso for his election as President of the European Commission. (June-July 2004). CV/3 deleted Member of the Assembly of the Republic (10th parliamentary term); member of the Committees on European Affairs (PSD coordinator); Defence and Foreign Affairs. Chair of the Portugal-Ukraine and Portugal-Russia Parliamentary Friendship Groups and Vice-Chair of the Portugal-China Parliamentary Friendship Group. CV/4 deleted Secretary of State for European Affairs in the 16th Constitutional Government. CV/5 deleted Vice-Chair of the EPP in the 2006-2009 term, responsible for neighbourhood policy; Vice-Chair of the Committee on International Relations of the Partido Social Democrata. CV/7 deleted Order of the Madara Horseman, First Officer, Bulgaria; Order of Merit, Ukraine; Faithful Service, Commander, Romania. National defence course assessor. General practitioner at the Civil Hospitals of Lisbon (1977-1980). Held the following posts in the European Parliament from 1989: Deputy Secretary-General of the ELDR Group (October 1990-July 1994); Secretary-General (until November 1996) and member of the Bureau of the ELDR Group; Secretary-General of the Parliamentary Group of the European People's Party (EPP), (April 1997 to July 1999); Special adviser on European Union enlargement, responsible for the task force for the 12 candidate countries, Russia and the Balkan countries (until April 2002). 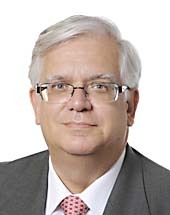 Head of the private office of five ministers in the Portuguese Government (1980 -1989); Political adviser to the Prime Minister on international affairs (April 2002 to July 2004); Coordinator in the private office of José Manuel Durão Barroso for his election as President of the European Commission. (June-July 2004). Member of the Assembly of the Republic (10th parliamentary term); member of the Committees on European Affairs (PSD coordinator); Defence and Foreign Affairs. Chair of the Portugal-Ukraine and Portugal-Russia Parliamentary Friendship Groups and Vice-Chair of the Portugal-China Parliamentary Friendship Group. Secretary of State for European Affairs in the 16th Constitutional Government. Vice-Chair of the EPP in the 2006-2009 term, responsible for neighbourhood policy; Vice-Chair of the Committee on International Relations of the Partido Social Democrata. Order of the Madara Horseman, First Officer, Bulgaria; Order of Merit, Ukraine; Faithful Service, Commander, Romania.